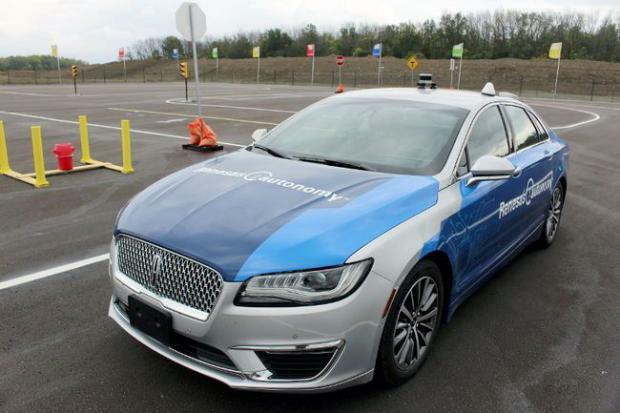 Premier Kathleen Wynne visited Stratford on Wednesday to announce the opening of the Autonomous Vehicle Innovation Network (AVIN), which will be an $80-million investment made by the Ontario government. This investment will be focused around research and development on self driving cars. AVIN will bring together industry and academia in hopes of capitalizing on the opportunities associated with the development of connected and autonomous vehicle technology as well as the associated infrastructure. Stratford will be the central hub of this network, with six other centres for research to be established across Southern Ontario in coming years. With the auto sector being one of Ontario’s main economic pillars, Wynne feels it is imperative that the province stays a head of the game with these emerging technologies. Stratford has successfully completed a test track which will be used in the New Year to test vehicles and collect data. Autonomous vehicles have the potential to drastically improve road safety, minimize driver distraction and improve fuel efficiency. According to the National Highway Traffic Safety Administration, more than 90% of crashes involve driver-related errors. Though the convenience of autonomous vehicles is undeniable, achieving this goal will come with many challenges that will need to be taken into consideration. For instance, the path to autonomous vehicles will involve semi-autonomous vehicles which pose a challenge when distinguishing liability in the event of an accident. Lines become blurred when trying to differentiate between product liability and human liability in the case of an incident. Determining who is at fault in the event of a collision will be an issue that needs to be addressed as development continues.